Raymond G. Glass, II is a native Houstonian who is a proud graduate of Houston Independent School District and Prairie View A&M University. As a high school student at Mirabeau B. Lamar High School, Mr. Glass participated in marching, concert and stage bands. While in marching band, Mr. Glass was appointed drum major of the band which lit a fire in him to lead others. This desire to lead catapulted Mr. Glass into the field of education. 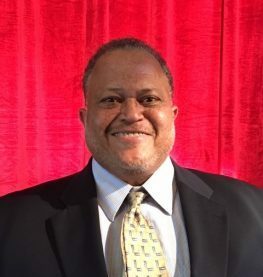 Upon graduation from Prairie View A&M University, Mr. Glass began his professional career as an educator in The Houston Independent School District. Mr. Glass served as a teacher for six years at Harper Alternative School. As a teacher at Harper, Mr. Glass taught all levels of special populations in grades 6-12. As a teacher, he found his calling to help students whom others had given up on. It is that desire and passion that helped Mr. Glass pursue the position of Assistant Principal at W. I. Stevenson Middle School and Principal at Harper Alternative and later, Crossroads Alternative Program. During his tenure at Harper Alternative, he has trained six administrators of which five have moved on to become Principals, one has served as Director of School Support and Director of Curriculum and Instruction, one that has served as an School Support Officer and Assistant Superintendent of High Schools (Baltimore Maryland) and now Superintendent of Schools (Kansas City Public Schools). Last but not least these leaders and their leadership expand not only in Texas but in Louisiana, Florida, Maryland and Kansas. In the community, he continues to push for excellence in all facets by serving as a Little League Football Coach for South Post Oak Eagles 1996-2012, AAU Basketball Coach for the Bulldogs 2007-2015, Drummer for Fifth Ward Missionary Baptist Church 2001-Present, Scholarship Committee Fifth Ward Missionary Baptist Church and Southwest Trail Riders Association 2001-Present. He is also a lifetime member of Omega Psi Phi Fraternity where he has worked on the Christmas Adopt a Family, Clothing Drive Member, Go Western Scholarship Past Chairman and the Thanksgiving Basket Give-a-Way. He is currently married to Deirdre Glass and they have three beautiful children, Raymond Glass, III (Trey), Kirby Glass and Henry Glass.